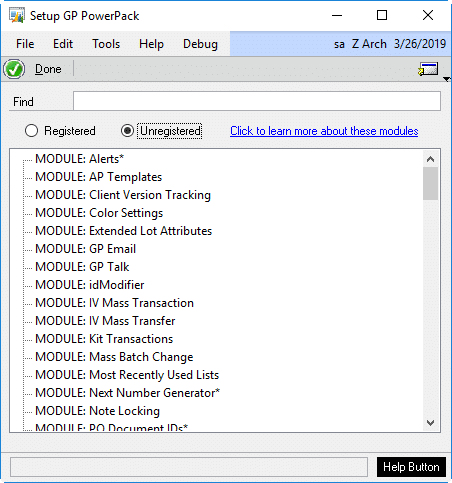 The GP PowerPack Setup window has new radio buttons to show Registered and Unregistered modules. 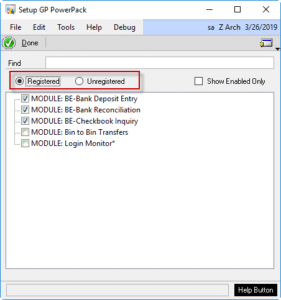 The Unregistered view shows all modules in GP PowerPack that are NOT registered. 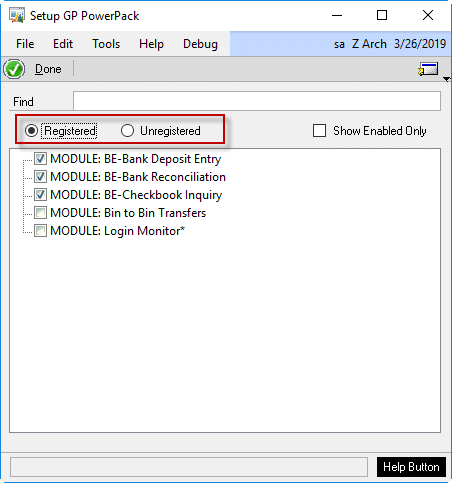 Additionally, the setup windows for several modules previously appeared only on the GoTo button and not in the main list of Registered Modules. These include: Alerts, Login Monitor, and System Access Lock. This was a frequent source of confusion because if you were registered only for Alerts, the main setup window was blank because Alerts was on the GoTo button. 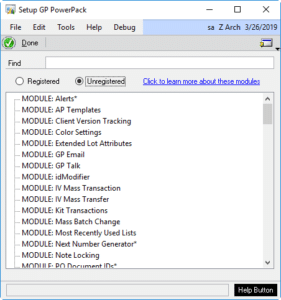 Now these three modules will appear in the main GP PowerPack list of registered modules.